He loves her grace, her precision and her moves. Choreographer Remo D’Souza, who worships only late King of Pop Michael Jackson after Jesus Christ, says “Madhuri (Dixit) is like lady MJ”. 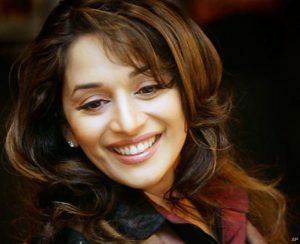 “I have always been very fond of Madhuri. I love almost all of her songs and her dance is incomparable. Today’s actresses don’t come close to her dance and expressions. She is so flexible, so emotive – for me, she is completely like lady Michael Jackson,” Remo told IANS. Just as he picked up the art of dancing by watching Jackson’s videos, Remo also tried to emulate Madhuri’s filmy steps. “Once, very long time back, I had to train one girl for a competition…that time I learnt all of Madhuri’s steps in ‘Ek do teen’ to teach the girl. Madhuri was fabulous in it. But my favourite song featuring her is ‘Humko aajkal hai’ from the film ‘Sailaab’,” he said. Remo vied for many years to meet Madhuri – in studios, at film shootings and screenings, but his big chance came when he was asked to share the stage with her as the judge of Sony TV’s “Jhalak Dikhhla Jaa 4”. “I was overjoyed on meeting Madhuri. She has been my favourite all through,” said the choreographer, who feels Prabhu Deva and Hrithik Roshan are the only two Indian male stars, who can dance like MJ. Now the hip-hop specialist has a wish to make Madhuri and Hrithik dance to his tunes. “I feel Hrithik will do complete justice to my style of dancing. There aren’t too many actors who can dance well…he is the best among the current lot,” he said. For now, Remo is gearing up for the release of “Faltu”, his second directorial project after Bengali film “Lal Pahare’r Katha”. As for his choreography projects, Remo has worked on “Patiala House”, and will soon be working on four songs in Prakash Jha’s “Aarakshan”, which also features megastar Amitabh Bachchan.